If you love football, and you'd like to manage a team, you can now do so with Top Eleven. Not only will you become the coach of a team, but also the manager. Take part in the best football tournaments defending your colors to take your team all the way to the top. In this football manager you have to create your team from scratch. 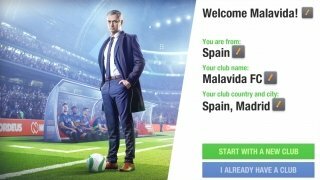 Sign the players you're interested in, coach each player depending on their needs, create strategies for the matches, and look after your stadium. Of course, you'll also have to manage the club's finance to not end up bankrupt and be able to bring in new players each season. Watch the matches live, change tactics and carry out substitutions in real time. Players are signed and transferred by means of auctions. You can completely customize your football club. Organize friendlies against your friends. With Top Eleven 2015 you can manage your own football club.